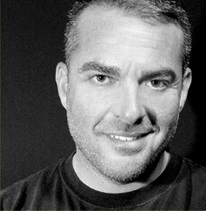 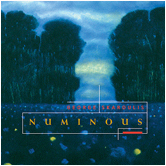 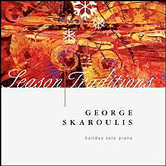 George Skaroulis is a one of the best loved musician/composers of massage therapists worldwide, so we're delighted to offer his musical interpretation of holiday piano music. 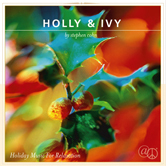 We think you'll love Snow, a peaceful solo-piano Christmas album which includes traditional songs, as well as new originals - all of which will get you in the holiday spirit and minimize holiday stress at the same time! 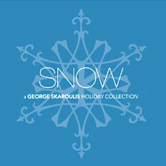 George's version of Silent Night features a special guest appearance by vocalist Kevin Lawson. 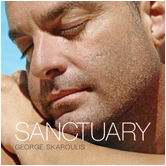 You won't find this music on iTunes or Amazon.com ... and if you love this, you'll want to add George's other spa piano albums to your massage and spa music collection, which are included in the Recommended Albums below. 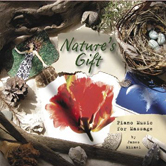 If you're a massage therapist or bodywork professional who needs music to 'chill-out' and relax your clients or you're just looking for great relaxation music, you'll find George's piano music an indispensable addition to your spa/massage/relaxation playlists. 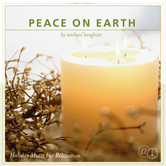 Track 16: Silent Night, featuring vocalist Kevin Lawson, is available on the complete album download only.